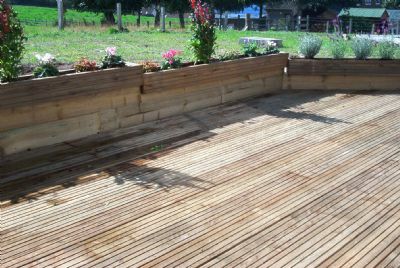 We have now finished a large area of decking at the rear of the house. 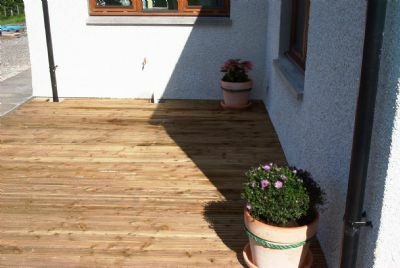 The decking extends to almost 50 m² and is on two levels outside the dining room, sun lounge and kitchen windows. All the timber was locally sourced (manufactured and treated at the saw mill in Golspie). 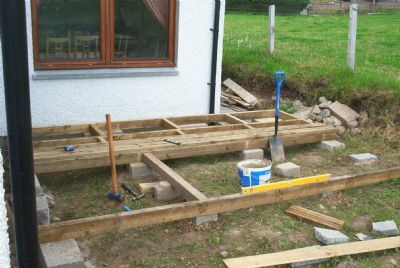 Preparing the raised decking base outside the dining room window. 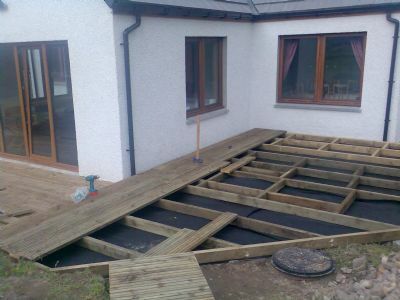 Base completed, frames in place and few decking boards fitted. 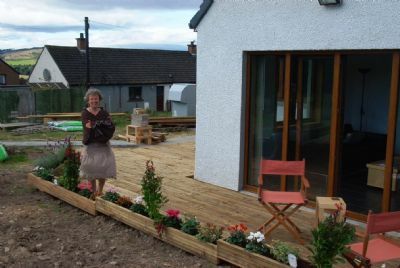 The finished deck outside the patio doors (south facing) with plant boxes planted with Dutch flowers from the continental market in Dornoch! Joan on the decking looking at the plants (unfortunately the lobelias did not last long as they were baddly battered by the strong winds). The view back towards the kitchen window complete with plant pots - from Ikea, naturally.